Wiki Calendar has introduced new blank calendar templates for 2019 year. The new templates are free of cost and can be downloaded directly. January 20, 2019 / / — In order to extend their offerings for the new year, Wiki Calendar has introduced new printable calendar templates for the year 2019. They have included templates for all 12 months of 2019. 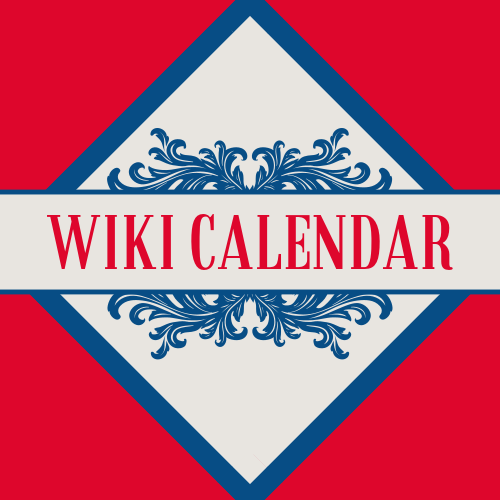 On their website, wiki-calendar.com provides different calendar templates free of cost. These templates are versatile and meant for people who like to stay organized. There are dozens of different templates on offer. The new 2019 calendar formats are available in both JPG and PDF formats. These file formats are quite common, making it convenient for people to use. The downloaded calendar can be used both on PC and phones. The blank calendar and can be downloaded anytime and used on the go. The printable calendar can be used as a planner for upcoming events or occasions. It can help people plan for holidays, travel and other important dates. With all dates marked accurately in the calendar, planning for occasions won’t be a hassle. The major holidays are already mentioned in the calendar. While most people would want to digitally download the new calendar templates of 2019, it is also possible to print it directly from the website. Printing the calendar can keep it right in sights. It can be stuck on fridge, wall planner, desk, etc. Apart from the downloadable calendar templates, Wiki Calendar also has informative blogs on their website. These blogs provide useful information on how the blank calendars can be put to use. There are blogs for each particular month of 2019. Some useful facts and information are available for each specific month. “We create regular blogs on printable calendar templates each month,” stated the chief blogger of Wiki Calendar. “There is no point downloading a blank calendar if you don’t know how to use it. We provide tips on how to use the calendar for staying organized." The new templates for 2019 calendar are already available on the website. It can be downloaded or printed directly from the website. Wiki Calendar is a website dedicated to blank calendars. They provide downloadable calendar templates along with some informative blogs on their website.